If you are resident in Kenya, chances are that when you are thinking of going on a holiday, your first thoughts would probably be what we call "the normal touristic areas" You know, the Mombasa, Mara, Amboseli, Tsavo or Samburu?Well here is a new idea.Why not try crisscrossing the country instead of visiting the "normal touristic" areas? Please note we are not saying these places are not good but sometimes if you keeping going to the same place over and over, it might become boring. 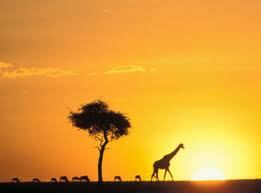 Kenya has very many places that are worth seeing. 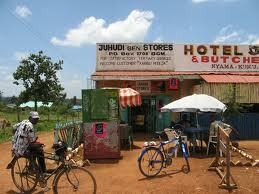 Take an example of Western Kenya, through to Nyanza Area. You could go fishing, rock climbing,nature treks, soap stone carving educational trips or weaving etc The list is endless! Alternatively, you could visit a place closer to Nairobi such us Nyahururu and get to see the Thomson fall or visit the Hippo point located within reach so you can view the Hippos! What about going to Kericho and learning a bit of tea / coffee farming?The idea is thinking outside the box! Obviously there is the question, why there? You will be learning more of Kenya, secondly the areas are easily within reach plus they have adventurous, romantic and educative activities.While touring you get to interact with the local "Mwananchi" and come up with better ways to build Kenya.Lastly, they usually have a "sound" budget!With an estimate of about KES 5,000 minimum per person per night, you should be able to have good reasonable accommodation and meals and maybe a little bit of topping up of the budget would ensure plenty of activities! Next time you are thinking of going on a holiday and you think it is too expensive, think again! Kenya is a country that you can tour with a reasonable budget and no matter where it is you want to go , we can assure you that you will be left flabbergasted! 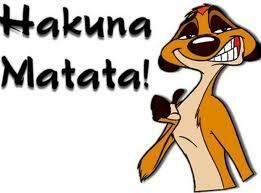 Always remember when we tell non residents "Kenya Hakuna Matata!" we really mean it...Hakuna Matata! 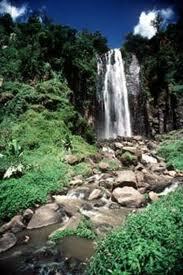 Karura Forest To Be Opened To Public ! Ever thought of going for a fishing safari? The Rothschild Giraffe: A candle buring out?